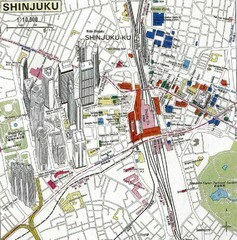 Tourist Map of Shinjuku Area of Tokyo, Japan with skyscrapers displayed to show height. 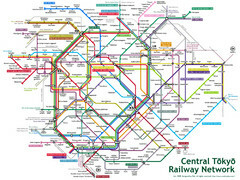 Tourist attractions, shopping and subway identified. 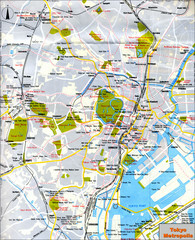 Tourist Map of Tokyo, Japan showing roads, railways, hotels and tourist attractions.